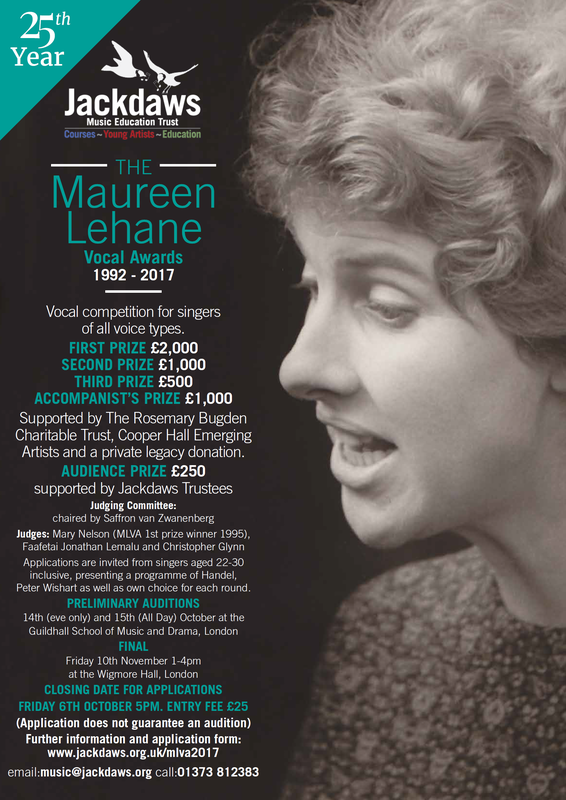 The annual Maureen Lehane Vocal Awards have been supporting aspiring young singers for 25 years. The opportunity afforded to finalists, a recital in the Wigmore Hall, is a dream of every applicant. Past winners have included Christopher Maltman, Amanda Echalaz, Dawid Kimberg, Anna Devin and Madeleine Pierard. See the full Hall of Fame. This competition is for singers and accompanists aged 22-30 inclusive, presenting a programme of Handel, Peter Wishart as well as an own choice song for each round. Held in the Autumn with the final at the Wigmore Hall. Generously supported by the Rosemary Budgen Charitable Trust, Cooper Hall Emerging Artists and a Private Legacy donation. Applications to the 2017 Maureen Lehane Vocal Awards have now closed. Late entries will not be accepted. Please check back for details of the finalists when they have been announced.